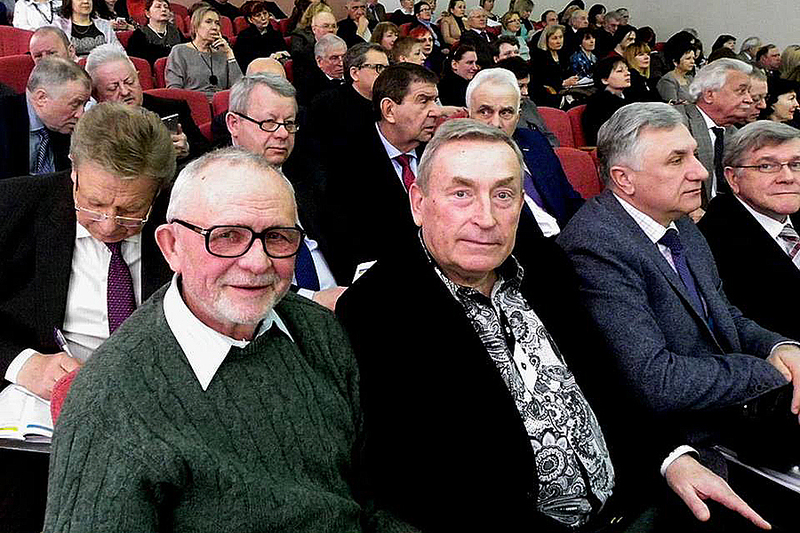 On March 23, a general meeting of the National Academy of Pedagogical Sciences of Ukraine took place in Kyiv. The meeting participants heard and discussed the report of the President of the National Academy of Sciences of Ukraine Vasyl Kremen “Report on the activities of the APS of Ukraine in 2017 and tasks for 2018”. 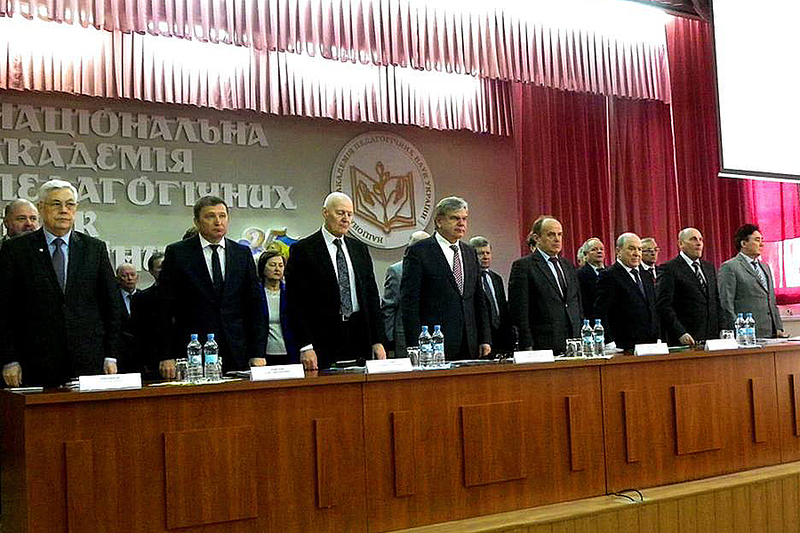 In the context of the report of Vasyl Kremen, speeches were made on the results of the activities of all the structural subdivisions of the Academy including departments, institutes, individual academicians and corresponding members. 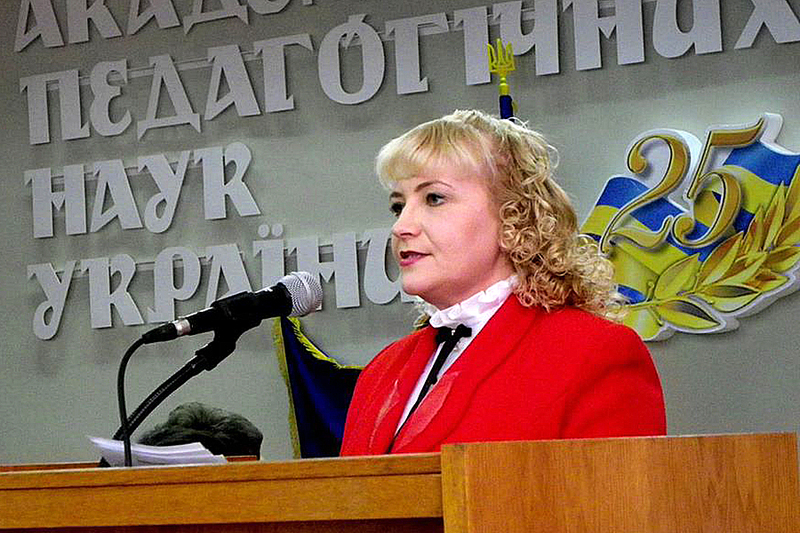 Olena Karaman, Doctor of Pedagogical Sciences, Professor, Director of the Research Center for Problems of Social Pedagogy and Social Work of NAPS of Ukraine (on the basis of Luhansk Taras Shevchenko National University) made a report from the Department of General Pedagogy and Philosophy of Education of the National Academy of Sciences of Ukraine, whose members are President of the Academy Vasyl Kremen, Academician Vitalii Kurylo, Corresponding Member Serhii Savchenko and others. 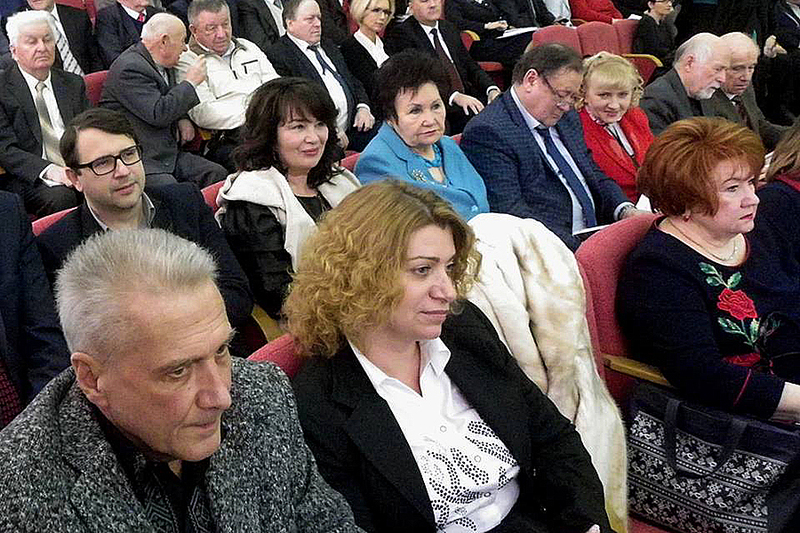 In the presentation, Olena Karaman noted that the Research Center for Social Pedagogy and Social Work is a structural subdivision of the Department of General Pedagogy and Philosophy of Education of the National Academy of Sciences of Ukraine (Academician-Secretary is S. Sysoieva), carries out its activities since 2005 (the founder is Doctor of Pedagogical Sciences, Prof. Serhii Kharchenko). 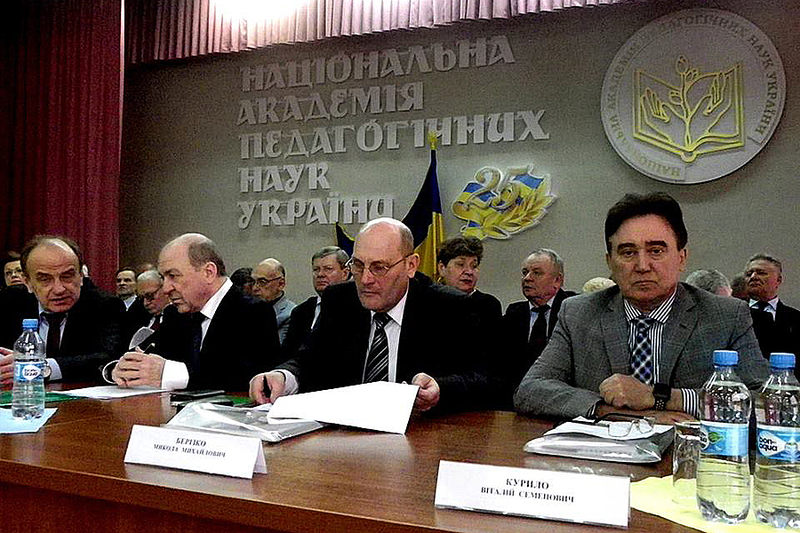 In 2014, as a result of the military invasion of the Russian Federation on the territory of Ukraine and the evacuation of the University, certain adjustments were made to the goals and objectives of the Center; the new theme of scientific research was formulated and coordinated with the Department: “Socialization of children and youth of the east of Ukraine in conditions of hybrid war in Donbas”. The aim of the research was the scientific substantiation, development and implementation of theoretical and technological bases of socialization of children and youth of the east of Ukraine in conditions of hybrid war in Donbas. The main directions and content of the functioning of the Center were standard-setting, social, pedagogical, and psychological activities aimed at the successful socialization and self-realization of children and youth in the hybrid war. The most unprotected categories of children and youth from among: internally displaced persons; persons from temporarily occupied territory; military men, combatants were selected as the target group of the research work. 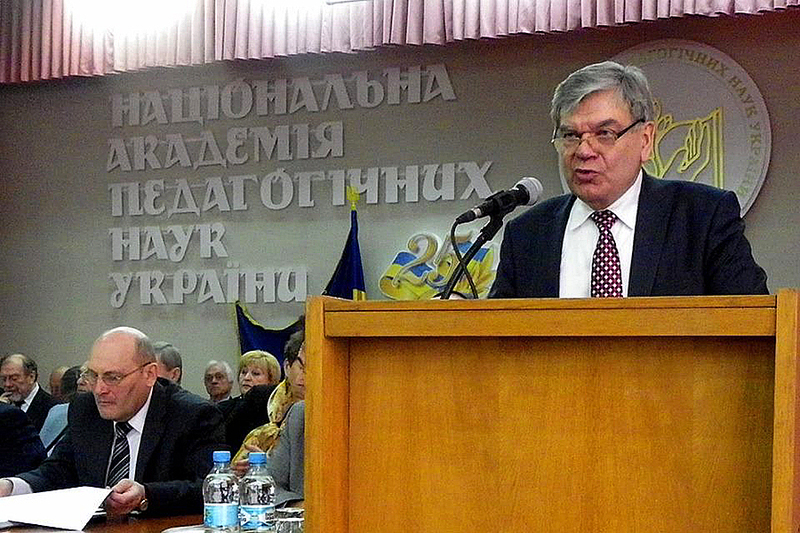 In the framework of the standard-setting activities of the Center, Academician Vitalii Kurylo became the initiator and developer of a number of bills that ensure equal rights for children and youth from temporarily occupied territories, as well as the sustainable development of temporarily displaced educational institutions. Then they were adopted as laws. In parallel, the Center launched social, pedagogical and psychological activities with children and youth in the zone of armed conflict, aimed at their successful socialization and self-realization. One of the first international organizations that quickly responded to the conflict in the east of Ukraine was the International Charitable Organization “SOS Children’s Villages International”, which since 2012 is a reliable partner of the Center (the Director of the Luhansk department is the Associate Professor of the Social Pedagogy Department L. Kharchenko). In 2014, this organization began and is now continuing the implementation of three projects aimed at free social, educational and psychological assistance for children and youth in the conflict zone. The governments of Austria and Japan, as well as UNICEF and UNDP, became the international partners of the Center in the implementation of these projects. As part of the pedagogical activity, the content of the Center’s work was the involvement of all three categories of youth in the university and the national-patriotic education of internally displaced persons and persons from temporarily occupied territories with the involvement of military students from Western Ukraine. At the theoretical and methodological level of research by members of the Center (V. Kurylo, S. Savchenko, O. Karaman, Ya. Yurkiv, etc.) was scientifically grounded: the essence of the hybrid war as a new phenomenon in modern realities of Ukraine; peculiarities of the influence of the hybrid war on various categories of the population, in particular children and youth; essence and specificity of the process of socialization of children and youth in the conditions of the hybrid war in the east of Ukraine; theoretical model of technology of social and pedagogical support of the process of socialization of children and youth of the east of Ukraine in conditions of the hybrid war. At the level of practical implementation of the research results, a technology of social and pedagogical support of socialization of children and youth in the conditions of the hybrid war in the east of Ukraine is currently being tested. During the period 2015-2018, the Center held one International and three All-Ukrainian conferences, issued 6 collections of scientific papers. In total, the Center published more than 50 articles. In 2017, the collective work of the scientists of the Center “Hybrid War in the East of Ukraine in the Interdisciplinary Dimension: Origins, Realities, Prospects for Reintegration” was presented edited by Vitalii Kurylo, Serhii Savchenko, Olena Karaman. The results of the Center’s scientific work were also presented at the annual International Exhibition “Modern Educational Institutions – 2016, 2017”, where two gold medals were received. Now it is planned to publish a monograph and a visiting session of the Bureau of the Department on the basis of the Center. 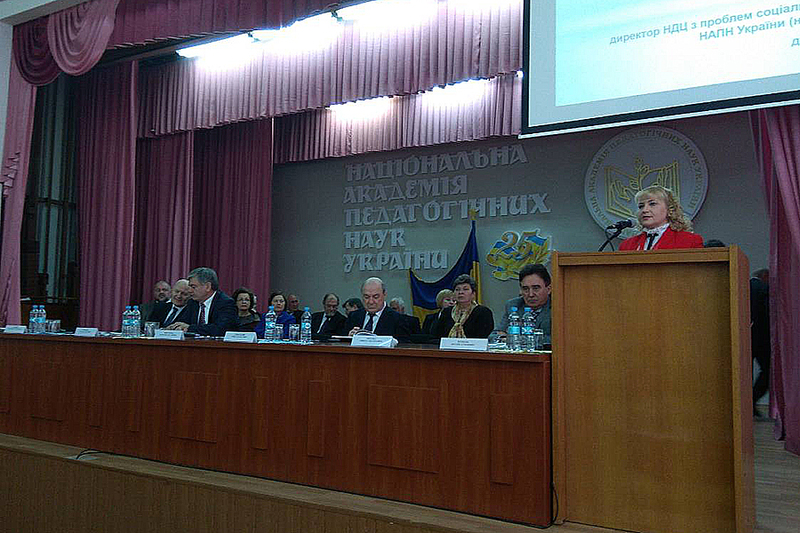 At the end of the speech, Olena Karaman, on behalf of the scientists of the University, the Center and the Department of General Education and Philosophy of Education of the National Academy of Sciences of Ukraine, issued an Appeal to the representatives of all international organizations carrying out activities for the settlement of the conflict in the east of Ukraine with the request to expand the field of activity with a view to ending and preventing a humanitarian catastrophe and the spiritual genocide of the younger generation in the temporarily occupied territories of Luhansk, Donetsk regions and the Autonomous Republic of Crimea. The appeal was supported by all participants of the general meeting.